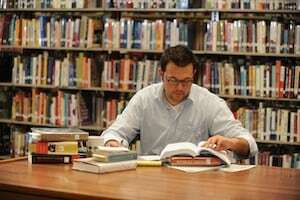 Cedarville University’s College of Arts and Sciences launched a B.A. in liberal arts in fall 2012. The new degree program allows students to study traditional courses in the liberal arts program while also choosing a specific area of study. Chair of the liberal arts committee and professor of political science Kevin Sims, Ph.D., said that this program is unique because it allows students to pursue a broader range of learning during their undergraduate education. “The degree is not confined to a rigid set of core courses but provides students with a number of options and experiences in learning not traditionally witnessed in more narrowly constructed liberal arts majors,” Sims said. The major includes general education requirements, foreign language competency and concentration in one core area of the core liberal arts, which includes humanities, fine arts, social science and history, math and science, or theology and philosophy. The degree also requires a study abroad experience and a three-hour capstone course in the form of a project or thesis in one of the core areas. The primary intent of the major is to prepare students for further study in graduate school, medical school, law school or a school of theology. But students may also find that this major is helpful preparation for careers in other areas such as education, library science, sales, marketing, music, natural history, etc. The program requires freshmen students to have either a 27 ACT or a 1210 SAT as well as a 3.5 high school (unweighted) grade point average. The students must also maintain at least a 3.24 GPA and supply two faculty recommendations at the end of their freshman year in order to continue in the program.